Have you been to Yokohama? I love going to Yokohama especially "YOKOHAMA AKARENGA". It is about 6-minute walk from the Bashamichi Station or the Nihon-odori Station (Minatomirai Line). "YOKOHAMA AKARENGA" is a big warehouse with lovely red brick. Their original facades (about 100 years old) have been refurbished from top to bottom. In Building #1, there is a hall, and multipurpose space. In Building #2, a restaurant with live performances, a beer garden, and 31 shops selling a variety of food and goods. Outside you can relax in an area with greenery and trees. If no, there will be a great chance to enjoy Hokkaido food! 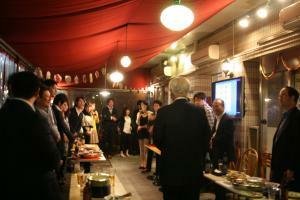 If yes, there will be a great chance to enjoy Hokkaido food again! "Hokkaido Fair" will be held at Yoyogi Park(B area) in October 1st to 3rd. It is a yearly event and over two hundred thousand people come every year. In Edo era, Kousyu Kaido was used to be one of 5 main trails. Edo government ordered local lords to come to see Edo Syogun once a year. These roads were needed for their transportations between Edo and local areas. The end of the Kousyu-kaido was Koufu, and another trail started from Koufu.